Jharkhand Common Entrance Test (झारखंड संयुक्त प्रवेश प्रतियोगी परीक्षा) 2018: The JCECE will be conducted in June 2018. The exam will be conducted by JCECEB. JCECE is the entrance for taking the new admission in Government colleges and into good institutes that are self-financed in the Jharkhand State. The submission of applications for JCECE B.Tech Admission Test 2018 will be started from April 2018. The candidates who have completed their diploma can also apply for direct admission in B.Tech 02nd Year. JCECE Application Form 2018 will be accepted from April. All eligible candidates they want to take the admission into the government’s colleges of the Jharkhand state. They need to fill the application form of Jharkhand Combined Entrance Competitive Examination 2018. For this exam, all interested candidates need to fill the application form of the exam before the last date of the application form summation 2018. For this exam, all candidates need to fill the Application form of the JCECE exam 2018. The applications will be accepted in both Online as well as Offline mode. The submission of JCECE B.Tech Application Form 2018 will be started from April 2018. The candidates who have completed their diploma can also apply for direct admission in B.Tech 02nd Year. JCECE Application Form 2018 will be accepted from April 2018. 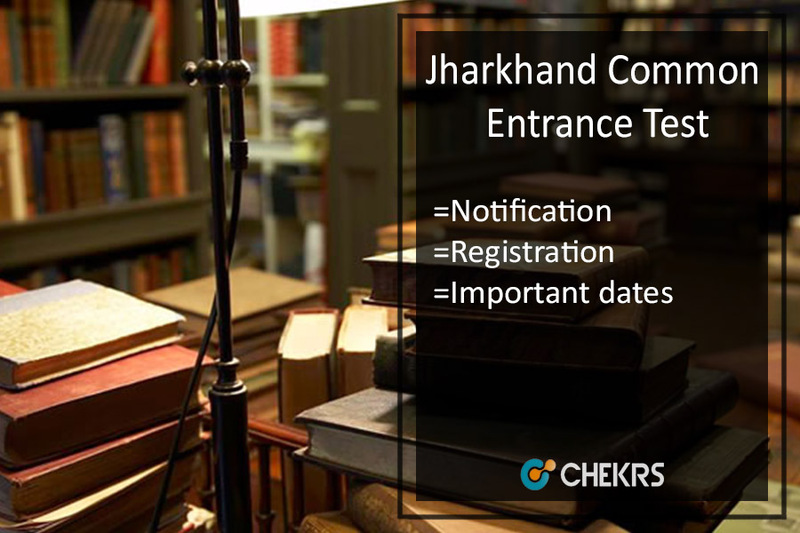 All eligible candidates can fill the online application form of the Jharkhand Common Entrance Test form the official website of the exam conducting Institute. Students need to open official Website of JCECEB. Before fill, the application form of the exam applicants needs to see the Eligibility Criteria of JCECE 2018. Applicant should be 12th pass from a recognized board with Physics, Chemistry, and Maths as mandatory subjects. There is no age limitation for the applicant. In JCECE exam the questions will be asked from Physics, Chemistry, and Maths subject. The questions will be asked from the 11th and 12th class board exam syllabus. The JCECE 2018 Syllabus Pdf can be checked here by clicking on the direct link we have provided. The question paper will be provided in English and Hindi both languages. Those students are going for the JCECE, they need to check the Sample paper of JCECE 2018. By the sample paper, all candidates can see the types of the questions and form which part mostly questions will be asked. The selection of the students will be on the basis of rank of the candidate in the written exam test. Also, depends on the cutoff of the exam. Admit Card will be provided one week before the date of the exam. Candidates can Download Admit card of JCECE 2018 from the official website of the exam. There will be no entry without the admit card of the exam. Admit card has all details of the exam. Admit card is a formal proof that the applicant has been submitted the application form of the exam successfully. The Result of JCECE 2018 will be announced on the official website of the exam. Students can check their result by entering the roll no of the exam online. To get the good marks into the exam students need a good study of the exam syllabus. Candidate needs to fill the form of the JCECE Counseling process and pay the fees of the counseling form. All students need to report the counseling center with all original documents. By the counseling process, the exam community will provide the seats for the applicants to take admission into the engineering colleges. For more information of the JCECE 2018 Engineering Entrance Exam, candidates can visit the official website of the Jharkhand Combined Entrance Competitive Examination Board.